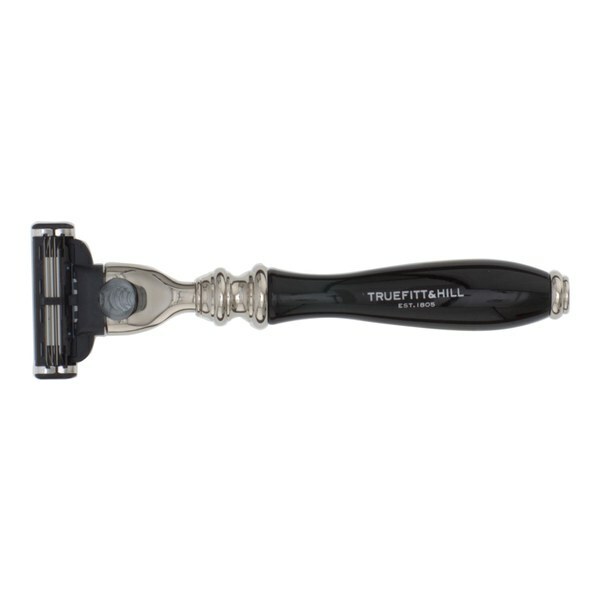 Truefitt & Hill Wellington MachIII Razor will help you achieve a close and comfortable, traditional shave. The safety razor has been ergonomically designed to make hair removal as easy as possible and is handcrafted in the UK with a glistening chrome finish. Suitable for use with the standard Mach III blade.